While keeping a perfect diabetes diet sounds wonderful, the truth is that we all occasionally make a mistake. Whether it’s intentional or not, they do happen. So while it’s eating out at dinner or indulging in some late night deserts, we sometimes slip up. We should strive to make sure that we learn from our mistakes, and realize that the person who is most harmed by our actions is ourselves. 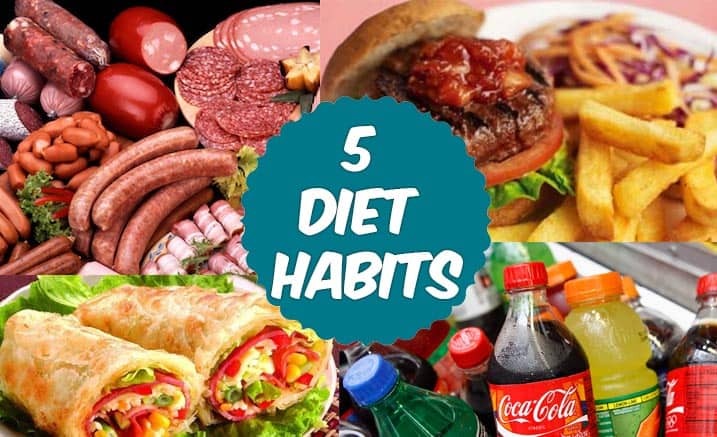 In this article, I share with you 5 of the most common habits that ruin the work we do to keep our diabetes under control. If you can recognize them and understand them, then you have a higher chance of not slipping up. While some professionals state “a carb = a carb = a carb,” the reality is that some carbohydrates affect your blood glucose more dramatically and quickly than others. Highly processed carbs absorb more rapidly from your gastrointestinal tract into your blood stream, creating a ‘sugar high,’ potentially harmful for people with diabetes. What are highly processed carbs? Think refined, low fiber, high glycemic index…. Donuts, cookies, snack cakes, ice cream, candy, milkshakes, white bread/rolls. 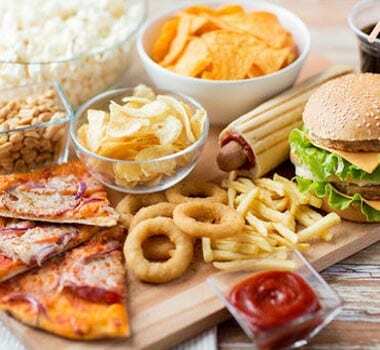 Not only do they wreak havoc on your glycemic control, research shows that highly processed carbohydrates can stimulate hunger, causing you to overeat. Food addictions are being recognized as true medical/psychological disorders, and many professionals blame highly processed carbs and their effect on the brain. The childhood obesity epidemic is commonly linked to the highly processed nature of the carbohydrates in our diet. Tip: Steer clear of cakes, pies, donuts, cookies, ice cream, candy and refined white flour to improve your glycemic control and curb your appetite. Chemical names for various fats can be confusing and overwhelming. Simply put, the terms ‘saturated,’ ‘unsaturated,’ and ‘trans,’ are referring to the molecular structure of the fats. Do you need to know all of that? Probably not. Instead, remember that the types of fats you want to DECREASE in your diet are these – saturated and trans. Saturated fats are those that are typically solid at room temperature – animal fats, poultry skin, lard, cream, cheese, butter, coconut and palm oil. There is a long-standing medical association between high intake of saturated fats and cardiovascular diseases and certain cancers. Some take a radical approach to avoid these foods altogether and eat a vegan diet. That is one possibility, but a more moderate approach is recommended by the American Heart Association and the American Cancer Society: Limiting saturated fats to 5-6% of total calories (approximately 13 grams of saturated fat in a 2000-calorie diet). Trans fats can be naturally occurring (as in milk and meat products) or artificial (as in processed foods). Trans fats are notoriously linked to health concerns such as hyperlipidemia (increased LDL/bad cholesterol and decreased HDL/good cholesterol), as well as increased risk of type 2 diabetes and various cardiovascular diseases. Trans fats are created in industrial processing when hydrogen atoms are added to vegetable oils to make them more solid. When you see “partially hydrogenated” next to an ingredient on the food label. Since 2013, the Food and Drug Administration has required food manufacturers to include trans fats on the Nutrition Facts label. Since this occurred, recipes have changed and the amount of trans fats utilized in food processing as certainly decreased. You may still see “partially hydrogenated” oils on food labels, and those should be avoided. 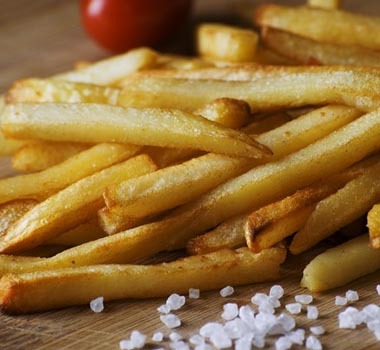 Typically, trans fats are found in fried foods like French fries and donuts, or industrially baked foods, like cookies, pie crusts and crackers, or stick and tub margarines. 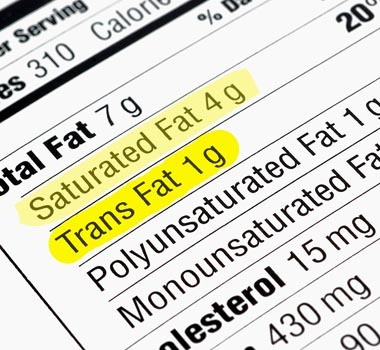 Tips: Read ingredients on food labels carefully to avoid trans fats. Limit saturated fats to reduce your risk of cardiovascular diseases. While a wide variety of foods are available nowadays in fast food restaurants, most people simply do not choose the healthier foods. Sure, you can get a grilled chicken wrap packed with veggies and a fruit-yogurt parfait – both great choices! But, 95% of people eating at fast food joints will still get a burger, fries and a soda…. Most will then ‘super size’ and end up eating significantly more calories, fat and simple carbohydrate than they possibly need at a meal. The typical fast food meal contains more calories than you need in an entire day, and lacks fiber, vitamins and minerals. If you are one of the few who can make a healthy choice off of a varied menu, by all means, do so! Restaurant and fast food chains provide their nutrition analysis information of menu items online. Plan your order ahead of time. Stick to your plan. Choose a meal with 400-600 calories, 45-60 grams of carbohydrate, and avoid the sodas. It is possible to eat healthy, but the choice is yours. Tips: Read online nutrition information for menus ahead of time. Plan your order and stick to the plan. 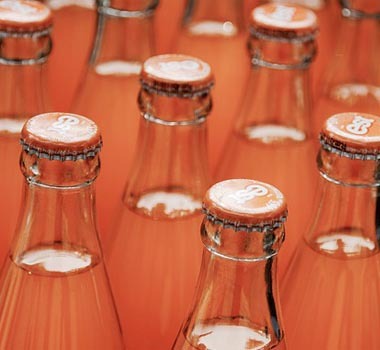 No other food is more detrimental to your glycemic control than sugary drinks. Mindlessly drinking a 44-ounce fountain cola from the local quick market loads your body with over 100 grams of simple/sugar carbohydrate. Not including refills! If you think you’re doing your body good by choosing lemonade or 100% fruit juice, think again. The carbohydrate content of these seemingly ‘healthier’ drink choices is strikingly similar to regular soda pop. Sports drinks, while touting essential electrolyte replacement, are typically not needed for the average person working out. Because they contain sugar (yes, they do! ), drinking them can also spike your glucose significantly. A quart of sports drink contains 64 grams of simple/sugar carbohydrate. If artificial sweeteners are acceptable to you, you can choose the sugar-free versions of sports drinks to avoid risk of hyperglycemia. “Energy” drinks, frappucinos, smoothies….. all contain excessive amounts of simple/sugar that interfere with proper glucose control. Tip: Choose water, unsweetened herbal or green or black teas, and sugar-free beverages to hydrate your body, quench your thirst, and maintain optimal glycemic control. World Health Organization, World Cancer Research Fund, American Institute for Cancer Research and the American Heart Association all agree. Processed meats are carcinogenic, linked to colorectal cancers. This is serious news, folks, as processed meats have been classified as a Group 1 Carcinogen, meaning it is definitely carcinogenic to humans. Other Group 1 carcinogens include tobacco, plutonium and alcohol. If this isn’t enough evidence to convince you to avoid, or at least significantly limit, processed meats…. 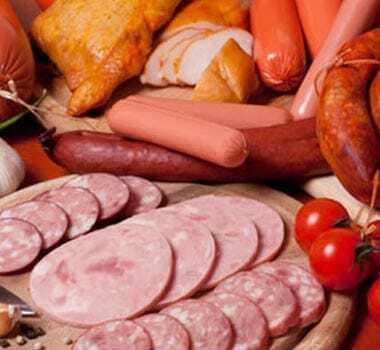 What are processed meats? Think cured meats such as bacon, pepperoni, sausage, ham, hot dogs, salami and corned beef. The nitrates, heterocyclic amines, and polycyclic aromatic hydrocarbons are the culprits here, as the main carcinogens involved. Red meats (beef, lamb) are classified as a Group 2A Carcinogen, meaning it is ‘probably’ carcinogenic to humans but not enough evidence is available. The World Cancer Research Fund recommends a maximum of 500 grams of cooked red meat per week, which equates to two eight ounce steaks. Tips: To reduce cancer risk, avoid processed meats as much as possible, and limit red meats. Choose other protein sources and try a meatless meal one night per week. Learn to control diabetes with the tips given here.